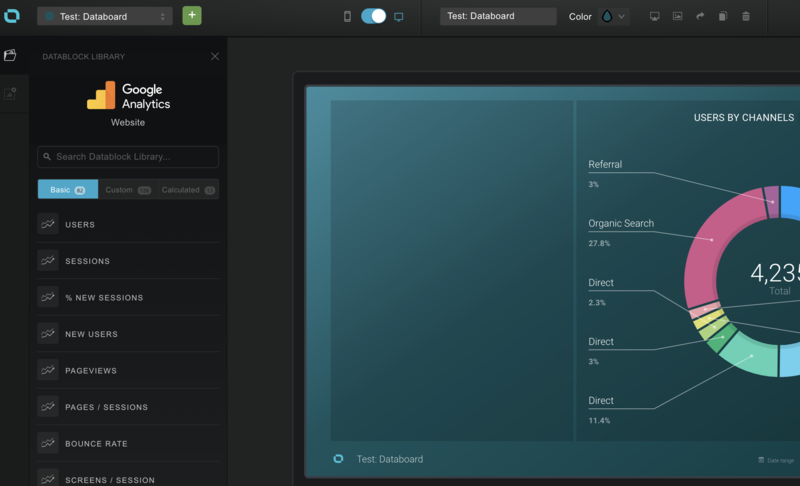 The Databox Designer is a drag-and-drop editor that allows you to build and customize your Databoards. This video will help teach you everything you need to know to get started with the Databox Designer. 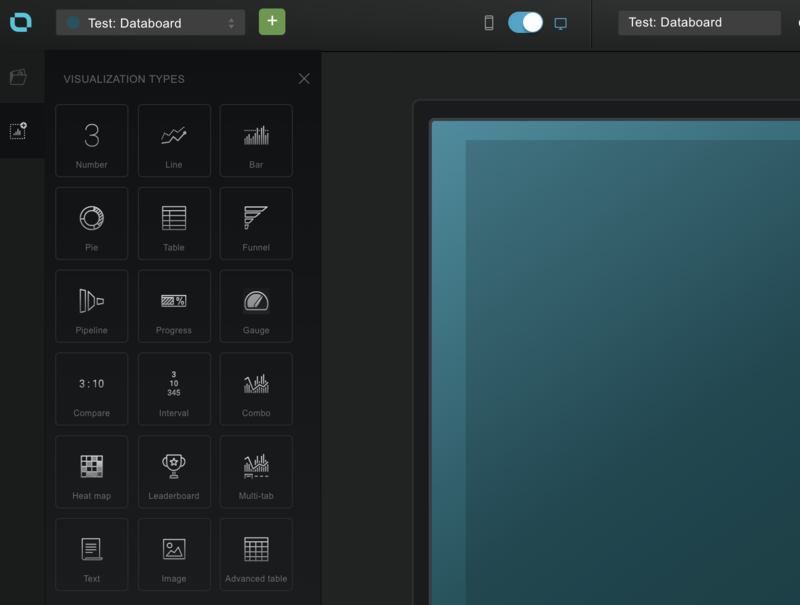 You can also read about a the features and functionality available in the Databox Designer. To view your existing Databoards navigate to Databoards. Then, hover over the Databoard you’d like to edit, and click Edit. By default, Databoards will be named with the Data Source you’ve connected. But if you’d like to change the name, simply click right on the card title and type in a new name. You can also change the name of any individual chart or table just by clicking on it. If you’d like to change the Color of a Databoard, click on the Color dropdown at the top and select the Color you’d like. And don’t worry – all changes in the Designer are saved automatically. 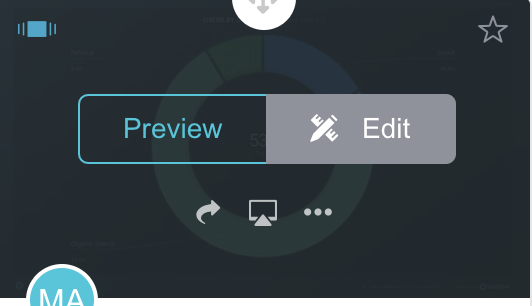 Learn how to customize the colors, logo and branding on your Databoards. You can also customize a number of other dimensions. For example, you can change the Date Range of any visualization clicking the drop down menu and selecting the time period you want. Perhaps you want to see how visits this month compare to last month. To do that, just click on the Datablock, go over to the right hand menu, and select “Compare to previous period.” If you’d like to see an average, or a trend line, you can add that here as well. If you decide you want to change the order of your Metrics on Mobile App, click on the Datablock, and then click and drag from the “Move Datablock” icon. Now, let’s say you’d like to add a new Metric to your Databoard. 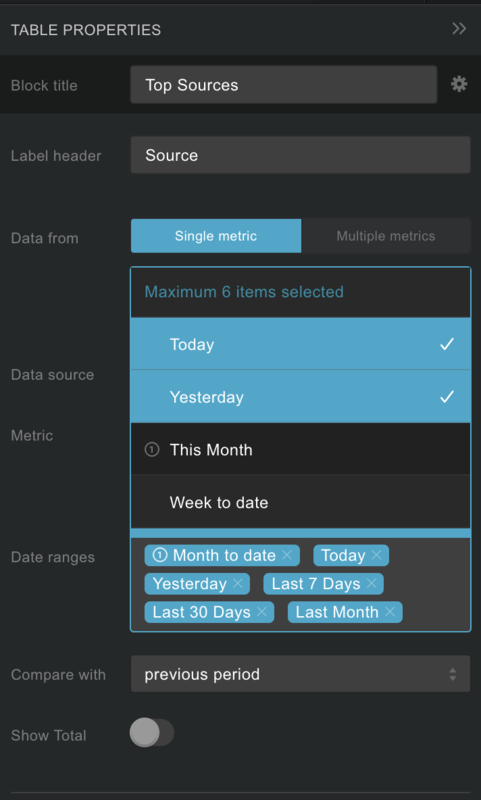 We’ve made it super simple to do that by choosing the Metric in Data Library. Once you’re on the databoard you’d like to add to, click on the Datablock Library icon on the lefthand side to expand the panel. From here, select the Data Source you’d like to pull from and choose the Metric and Visualization you want to use. Then just click and drag right to your Databoard. 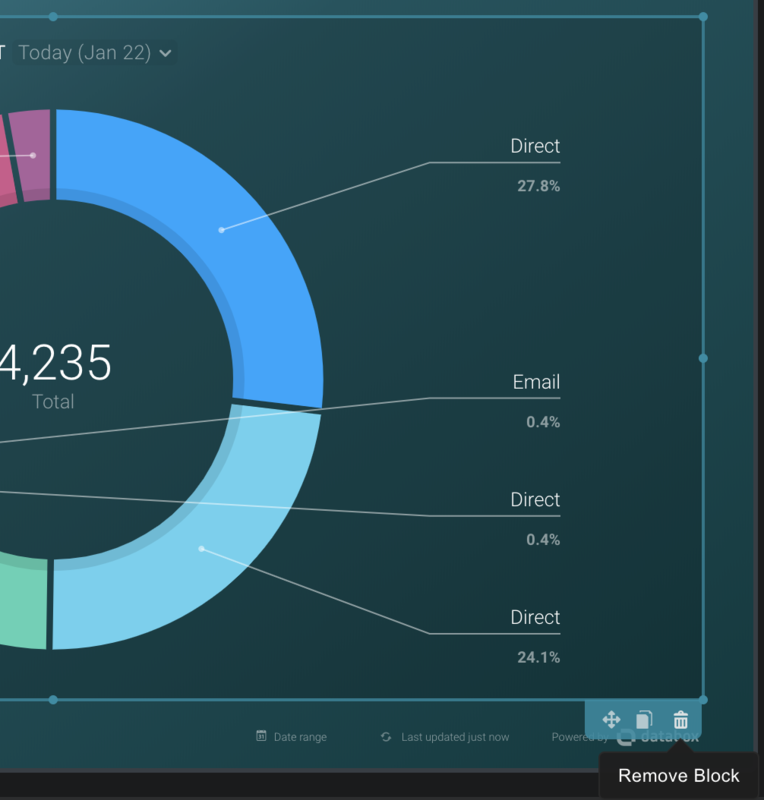 If you’d prefer to create your own Datablock, click the second icon on the left hand menu titled Visualization Types and choose the Visualization you want to represent your data. 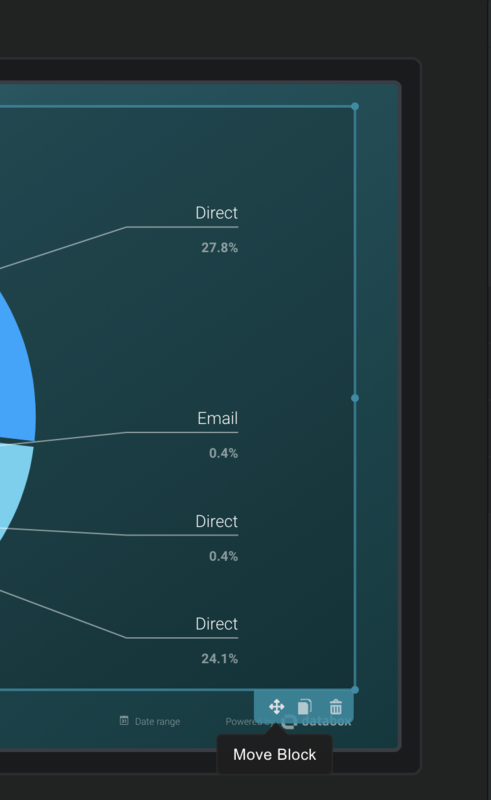 With this option, you can then use the right hand menu to select the Metrics you want to pull into the chart, as well as the Date Range. If you want to delete a Datablock entirely, just click on the Datablock and hit the trash icon. 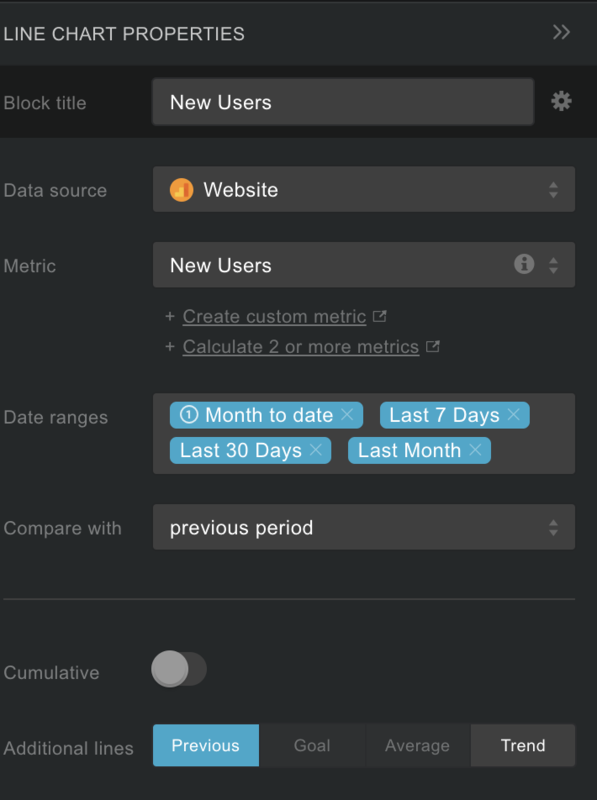 That’s just a quick overview of customizing your Metrics with Databox! 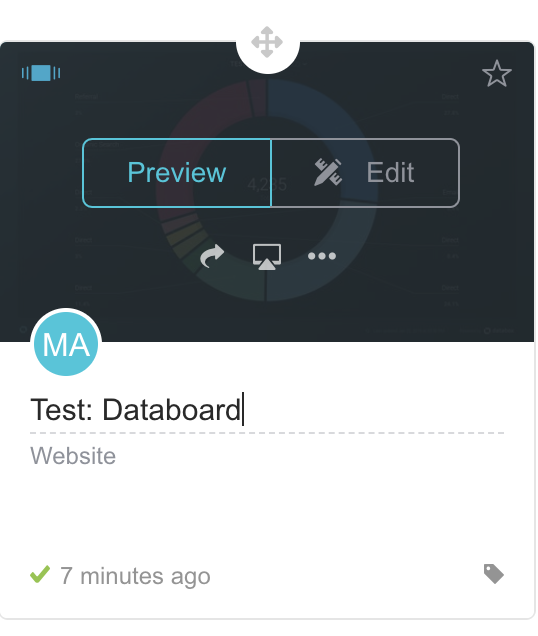 Once you’ve made your changes in the Designer, just refresh your Databoard and your customizations will be updated. How much historical data is synced with Databox when I first connect a Data Source?